Extremely successful, colossal events that attract hundreds of thousands of participants. The very best of the American meeting industry. 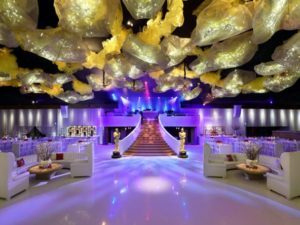 We have selected the first ranked events in the 13 categories of Bizbash’s list of the “Top 100 Events in USA 2017” – 13 amazing events that better explain the size and impact of the American meeting industry, especially considering that the other 87 are on the same level. The agenda is so jam-packed with content that some sessions only are 5-10 minutes long, and the exhibit floor at the San Diego Convention Center grows every year. This year, it featured Star Trek, Middle-Earth Shadow of War (Tolkien), a Stranger Things trailer, as well as standalone artwork around the exhibit’s booths. The “Grandaddy of them all”, as some have called San Diego’s monster event, was sponsored by different television networks and streaming services. According to a San Diego University study, Comic-Con (which is organised by a non-profit organisation), has an economic impact of approximately $150 million. 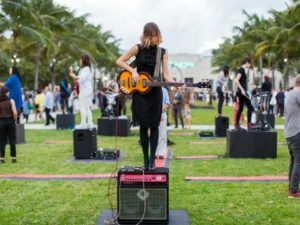 The monster Miami Beach fair celebrated its 15th edition by featuring 269 galleries (including 21 new ones) from 29 countries and territories across North America, Latin America, Europe, Asia, and Africa. The most important event of the industry was held at the Miami Beach Convention Center, and had an attendance of 77,000 people. 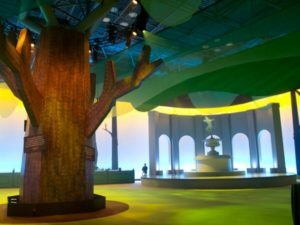 With the themes of love and leaderships, the poverty-fighting organisation transformed the Javits Center into Sherwood Forest for the mega fundraiser. The evening was hosted by Michael Strahan, former football star and hero of the New York Giants. The gala’s entertainment featured Miley Cyrus and Dave Chappelle, followed by a closing concert by Coldplay’s Chris Martin and Jonny Buckland. 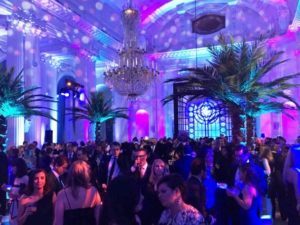 The 4,000 guests were invited to give during the evening, and the benefit raised nearly $55 million for New Yorkers in need. 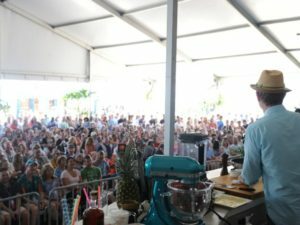 The most renowned food festival in the United States featured 90 events, 400 chefs, and 65,000 attendees in 2017. 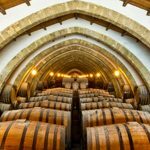 Highlights included a cooking demonstration by Snoop Dogg and a $850 dinner hosted by Michelin-starred Italian chef Massimo Bottura. Media outreach among all platforms, in conjunction with the Food Network, yielded 2.6 billion impressions. The event supports Florida International University’s Chaplin School of Hospitality & Tourism Management. Despite Warren Beatty and Faye Dunaway mistakenly awarding Best Picture to La La Land instead of Moonlight, the 89th annual Oscars ceremony was a huge global success, also thanks to host Jimmy Kimmel, whom we have also seen at the 90th Academy Awards on March 4, 2018. If National Football League’s fans were seeking drama, the 51st Superbowl did not disappoint. 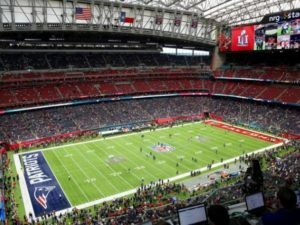 Played by the New England Patriots and the Atlanta Falcons at Houston’s NRG Stadium, it saw the Pats came from behind to tie the game and then win in overtime. Lady Gaga’s halftime show began with her jumping off onto the field, followed by a well-received performance. Beyond the game, other events included the Super Bowl Live festival, which included a virtual-reality attraction built with NASA, while the annual N.F.L. Experience came to the George R. Brown Convention Center. An average of 111.3 million viewers tuned into the game, slightly down from last year. 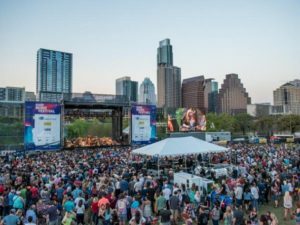 For the 30th edition of the music, movie and interactive festival, over 1,00 parties were held around town and more than 50,000 hotel room nights were booked by nearly 286,000 attendees from 95 different countries. 7,700 films were submitted for the movie-going crowd. There were also 35 comedy showcases and nearly 3,000 musical performances. Annual conference organised, hosted and funded entirely by New York investment firm Allen & Company. It takes place every July since 1983 in Sun Valley, Idaho. The gathering includes many leading voices in finance, politics, culture, technology, media, and business. 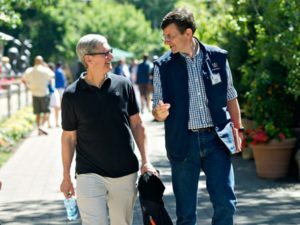 The 33rd edition included Apple CEO Tim Cook, Miramax co-founder Harvey Weinstein (before his fall), Snap chairman Michael Lynton, Facebook CEO Mark Zuckerberg, Berkshire Hathaway chairman Warren Buffett, and senior White House advisors Jared Kushner and Ivanka Trump. 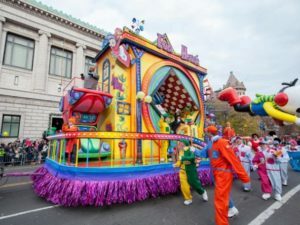 Staffed by Macy’s employees, who volunteer to steer character floats tall as buildings through Manhattan, the iconic parade is seen by about 3 million spectators on the sidelines, while another 44 million watch it on NBC. Live entertainment is provided by Broadway starts, television actors and actresses, and marching bands from around the nation. 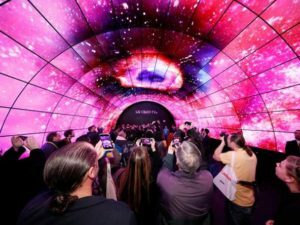 For its 50th anniversary, the colossal event filled with the latest models of televisions, mobile devices, and other gadgets, soared to new heights. It reached 2.6 million net square feet of exhibition and more than 170,000 attendees, with 60,000 of them coming from 158 countries, regions, and territories. The show is spread over the Las Vegas Convention Center and 10 hotels, featuring 24 product categories and over 20 marketplaces. The event always makes news with dazzling new products, but this year the big story was the theft of a pair of prototype three-screen Razer laptops. The exhibitor called the incident “industrial espionage”. 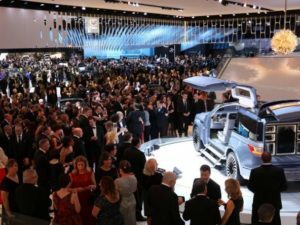 “One of the world’s most influential car shows”, according to its venue, the Cobo Center. 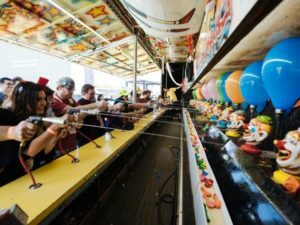 The event spanned nearly 1 million square feet and brought in over 800,000 attendees. This year, the show introduced Automobili-D, an exhibition of 180 autonomous vehicles and sustainable transportation. Pixar’s John Lasseter revealed a life-size, drivable version of Lightning McQueen, the star of his animated film Cars 3. Though fashion-industry insiders continue to question the usefulness and need of a large-scale event with fashion shows and related events happening all around town, its popularity continues to rise. 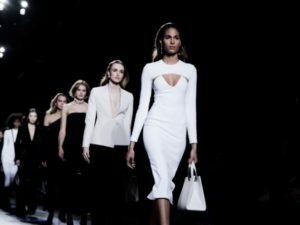 Presented by IMG, it included offerings from Christian Siriano, Prabal Gurung, Anna Sui, Creature of the Wind, and more at West Soho’s Skylight Clarkson Square. Other designers organised their own events, most notably Ralph Lauren’s show in his garage of classic cars in Bedford Hills, New York.